Although Isaac Asimov never intended to write a story with any parallels to Earth beyond sociology, the now 70-year-old short Nightfall does brush up against some fringe discussions today. What if something were to happen on December 21, 2012? First and foremost, it might be worthwhile to point out that NASA has debunked most of the mythos surrounding 2012. Then again, Nightfall starts much the same. With the aid of a reporter, scientists at the Saro University invest months into debunking the doomsday prophecy of cultists. However, as the impending date looms larger in the immediate future, the scientists reverse their position. While they do not believe the cultist (Apostles of Flame in the novel) prophecy believe that world will be destroyed, they do conclude that there will be an event — the sudden introduction of darkness — that will traumatize people and drive them violently insane. The unique consequence of a system with six suns. Unlike Earth, Asimov's fictional planet of Lagash (Kalgash in the novel), which is located within a system that benefits from six suns. As a result, the planet is awash in in continuous light, making darkness virtually unknown to the inhabitants. It is so unknown that an amusement park once featured a ride with one-mile of total darkness. And although the ride was popular, officials eventually had to shut it down. Several people died from the exposure. One in ten were psychologically damaged. The premise seems fantastical and farcical at first brush. But as revealed in the novel adaptation by Asimov and Robert Silverberg, the improbability of living on a planet in constant light to us mirrors the improbability of living on a planet that alternates between light and dark on a daily basis. Nothing could survive such repeated exposure, they hypothesize. What makes Nightfall fascinating read — the short story or subsequent novel — is that Asimov might be surprisingly close. Neither science nor superstition are entirely right. Could a crackpot predication halt the world? Lagash does share some similarity with Earth in that the public are largely dismissive of the cultists who implore them to prepare for the end. But then, they become angry when the scientists conclude that the planetary cycle does occur once every 2,049 thousand years. At the last minute, the scientists warn people to prepare. "After all, you know, business has taken a nosedive these last two months. Investors don't really believe the world is coming to an end, but just the same they're being cagy with their money until it's all over. Johnny Public doesn't believe you, either, but the new spring furniture might just as well wait a few months -- just to make sure," a reporter cautions just a few hours before the last sun is set to disappear, leaving darkness, and then stars that will set the world ablaze. The reporter expresses his contrarian concern succinctly. What if a crackpot prediction all that it takes to upset the country's prosperity? 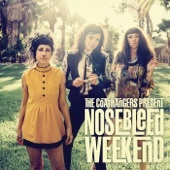 Confidence evaporates. The world market takes a plunge. People create their own self-fulfilling prophecy. And civilization collapses in anticipation of doom, regardless of any naturally occurring calamity. Asimov's exploration of an outcome is entertaining, even if the humor is best cast as satire. The expanded adaptation makes it even more apparent, giving readers the chance to be amused by the madness of it all before appreciating we're much the same. Expanding the short into a novel. The Asimov-Silverberg adaptation received mixed reviews. They made several changes, including the name of the planet and surrounding stars. The chief complaint is that the stunning short feels drawn out and the ending abrupt without any sense of mystery or satisfaction. Despite some flaws and looseness toward the end, the novel is still engrossing with its commentary on how easily intellectual prowess can evaporate, how difficult it is to accept change, and how rational thought and superstition battle each other while moving toward the same conclusions. The novel is 21 years old. The two sides of the larger work. The original story was reportedly written while Asimov was still working in his father's candy store. It was prompted by Astounding Science Fiction's editor asking Asimov to write the story after they had discussed an Ralph Waldo Emerson. 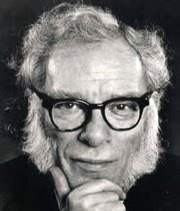 Isaac Asimov, born Isaak Yudovich Ozimov, authored more than four hundred and fifty books in his lifetime (around 500 if you count books that he edited), ranging from science fiction to Shakespeare. He is best known for his popular science and science fiction, being considered one of the "Big Three" science fiction writers in his lifetime (along with Heinlein and Clarke). He was born between Oct. 4, 1919 and January 2, 1920, and celebrated his birthday on the latter. While he wrote the original story on his own, Robert Silverberg collaborated with him on the novel. Silverberg had early success in science fiction before the market for genre briefly collapsed in 1959. He turned his attention to other writing until Frederik Pohl inspired him to return to in the 1960s. He wrote several hundred books and countless short stories and has received dozens of awards. 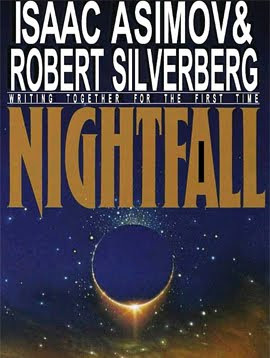 Nightfall By Issac Asimov Sparkles At 8.9 On The Liquid Hip Richter Scale. While the novel doesn't measure up to the same caliber, it still has a place among the more interesting must reads in science fiction. Enough so, I would never be counted among those who say that the short ought to have stayed short. 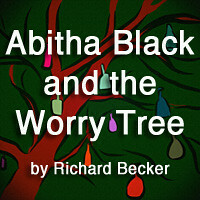 The looseness in some parts of the story are likely Silverberg's style additions, but it's hard to say. He wrote two other books with Asimov, The Ugly Little Boy and The Positronic Man.